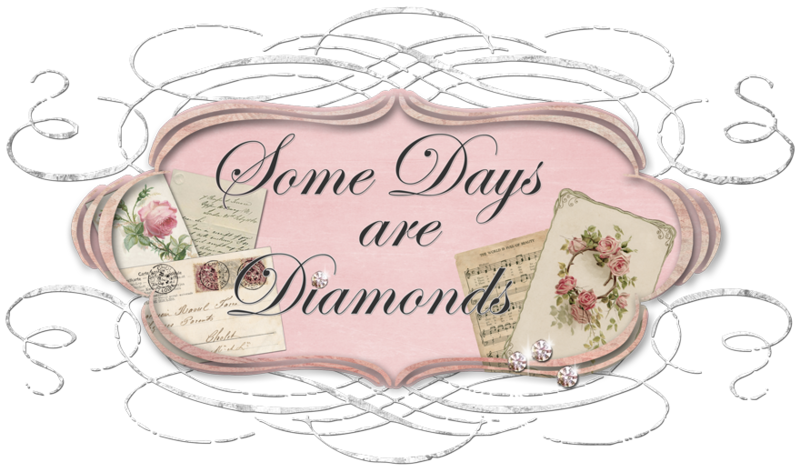 Some Days Are Diamonds: Sneak peek . . .
Good morning! It is one of those priceless days in So Cal. Huge fluffy black and white clouds, intermittent rain and everything is clean and green after a few days of showers. Yay! I love how it turned out. It will tone down a little more once I get everything on the walls, I need to put the hardware on the cabinets . . . you know, just doing stuff! But I am sooo happy. It is such a happy room now. My son Justin came over last night for a minute and just grinned. That was what I wanted. So I'm good with it! And I still get to go SHOPPING to find fun little things to place. So .. . here it is. My happy room. In progress. It's now looking a little better. I could not have done it without my husband. He sure is a handy guy to have around! He switched the ceiling fan, mounted all the shelving, hung my other shelves and cabinets. And he said the best words! "I like it Honey". Yay!! So I got a few things put up on the shelves . . . I love my little Angel! But I don't like the shelves themselves, I think they are too thin, so I'm going to put a little trim around them and kick it up a notch. And I found some tall table legs that I think will work, so I can save my favorite coffee table from the Goodwill pile and reuse it as my counter height work table. Right in front of the window. Yay! It's a BIG table, and I'll get lots of work room Now I need to decide whether or not I should paint it; shabby-chic it up a little. It's such a pretty table . . . oh well. I can decide that later. Well, my house is a disaster, and I am itching to get back in to my room and work on it. First, I need to go find fabric. So that's it!! Let me know what you think. Your room looks fantastic! That wall color looks like my kitchen color. It's great that you're going to repurpose your coffee table into a work table! Wow, love that green! It's almost as bold as the bright orange I painted my home office. You're going to love working in that room! It's good to meet you Karen - I just popped over from our friend Connie's blog. I love your craft/hobby room. So alive and fun!!! I love that green...my girls' upstairs den is almost exactly the same shade! I hope you enjoy it! What a great room! Looks like you've created a perfect place to work on all your projects!